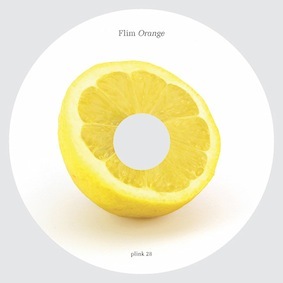 It has been quiet for Flim, also known as Enrico Wuttke, since his last release 'Pola Music' and 'Ohne Titel, 1916' (the latter being his second release on Plinkity Plonk). However he still works as a designer, and creates music for dance companies and short films, as well as enjoying family life. His new release is a 28 minute EP with four pieces he created for a dance piece 'Refugium', based on the novel 'The Wall' by Marlen Haushofer. Originally published in German in 1962 and touted more recently as a feminist's Robinson Crusoe, this somber classic from prize-winner Haushofer chronicles the experiences of a (nameless) woman cut off from her familiar city ways in a remote hunting lodge, after Armageddon has snuffed out all life in the world beyond. With the woman's diary of activities during the first two years of isolation as foundation, the story assumes the shape and flavor of a journal. Saved from instant death by a transparent, apparently indestructible wall enclosing a substantial area of forest and alpine meadow, the woman finds relief from her isolation in companionship offered by a dog, a cat, kittens, and a cow and her calf, making them into a family that she cares for faithfully and frets over incessantly with each season's new challenges. Crops of potatoes, beans, and hay are harvested in sufficient quantity to keep all alive, with deer providing occasional meat for the table, but the satisfaction of having survived long winters and a halcyon summer is undone by a second sudden and equally devastating catastrophe, which triggers the need in her to tell her story. Although heavy with the repetition of daily chores, the account is also intensely introspective, probing as deeply into the psyche of the woman as it does into her world, which circumstances have placed in a new light. Subtly surreal, by turns claustrophobic and exhilarating, fixated with almost religious fervor on banal detail, this is a disturbing yet rewarding tale in which survival and femininity are strikingly merged. So the music is circling around Wuttke's definition of a private "Refugium". I always loved that simple preset sound of a zither on my keyboard for its chinese, Mahler like sound. When J–rg Follert (Wechsel Garland) was visiting me and gave me Robert Ashleys "Private Parts" i had the courage to record this piece. "Two Hits On A Can"
The first sketches of this track are from 2007. It is very close to the "Ohne Titel" pieces. There is still this emptyness and sadness of this time. A more painfull refuge. This was part of a very long piano improvisation which i recorded in spring 2008 at the parish hall Loschwitz, where i had a studio for one year. A very mystic place. Reiser is a small village near the city where i grow up. In summer it's a very dry and hot place. I spent a lot of times there when i was a child.